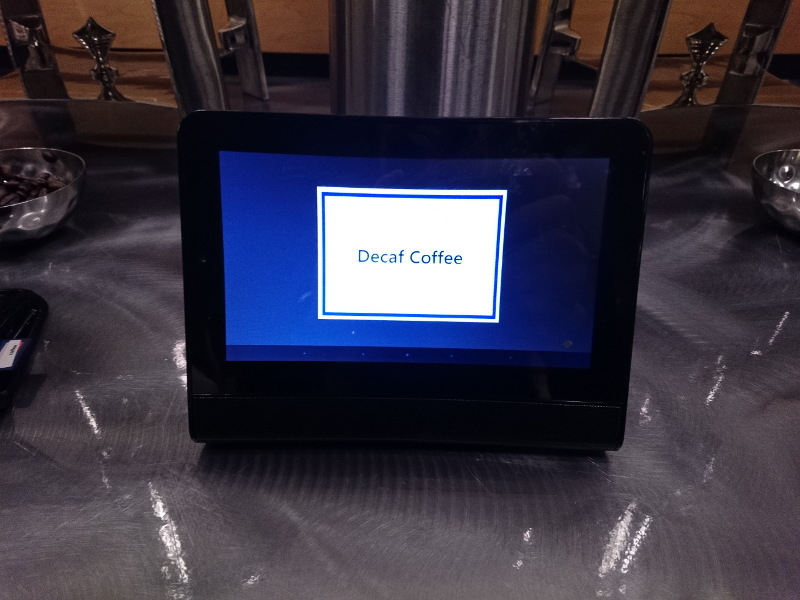 You know that problem where you want to label a coffee pot, but you just don’t have the right label? Technology to the rescue! 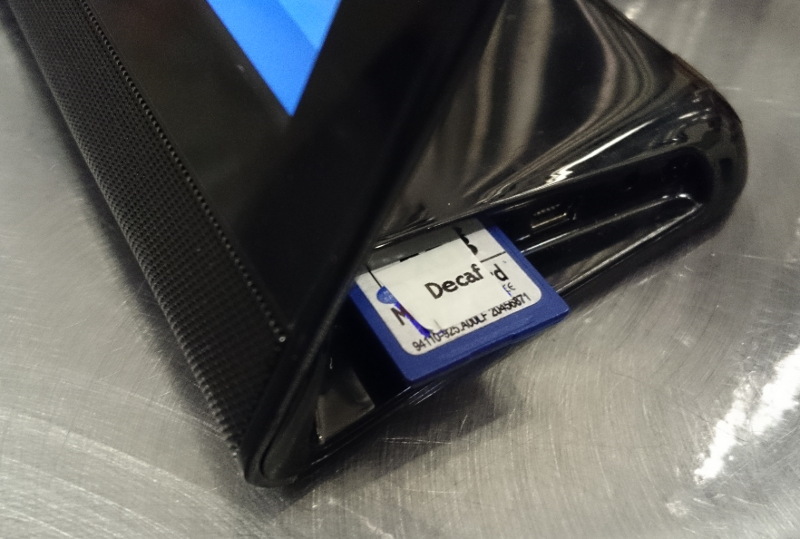 Seriously, can any reader give me one single advantage this system has over a paper label? Oh, there is plenty of advantages. 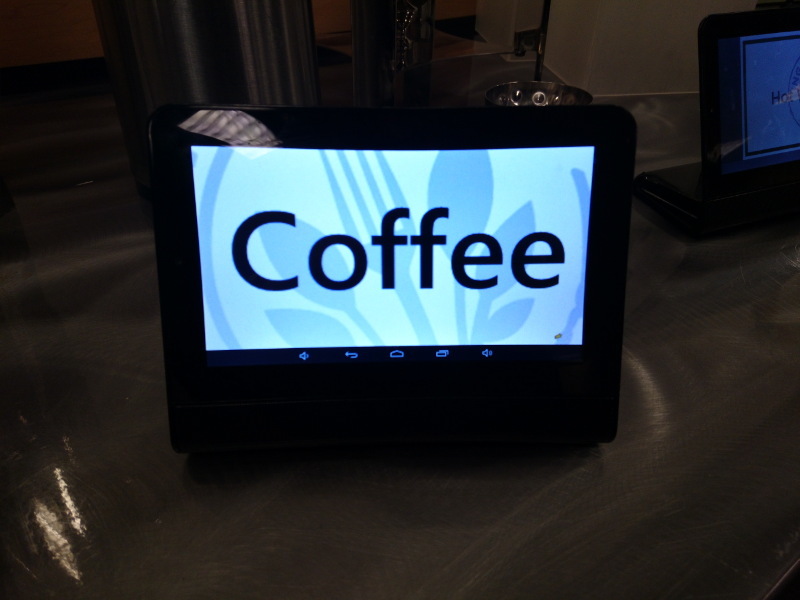 For once, your cafeteria can show off its top notch technology. It’s 21st century after all, people tend to forget. And then… Well, ok, it’s probably the only advantage. 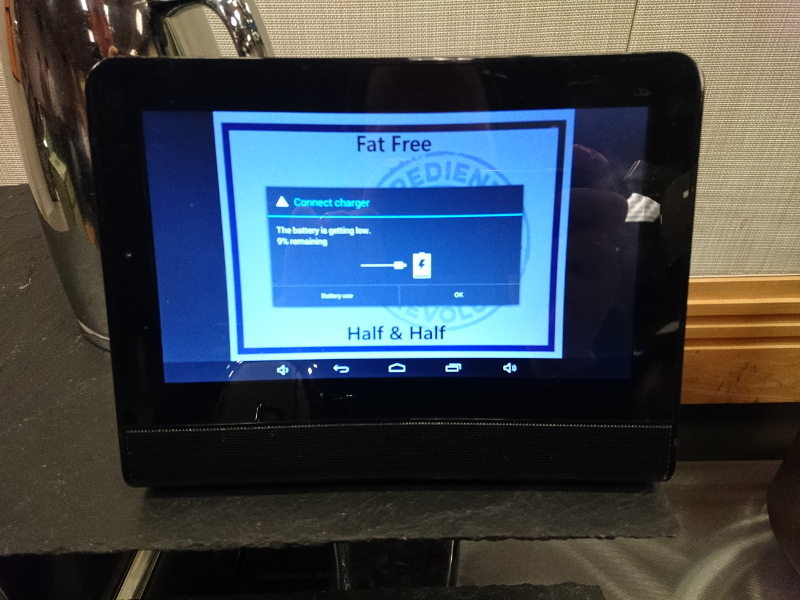 This setup does make sense if you want to update displays remotely easily – but a cafeteria isn’t the place where this would make sense. After all, you still have to change the coffee pot manually :-). Never mind having to change the approach towards feeding content over Wifi rather than SD cards. And that a typical cafeteria isn’t really equipped for implementing this securely. The potential for localization or accessibility, e.g. text to speech? Other than that, dunno.